Are You Giving Your Skills from Retail Sales Enough Credit? Home > Blog > Employees > Are You Giving Your Skills from Retail Sales Enough Credit? One of the best introductions to gaining work experience today is through retail sales. In fact, Forbes named ‘Retail Salesperson’ the #1 most common job for people in the United States. Moreover, retail work experience is a fantastic way for employees to gain hands-on experience in a multitude of areas. For example, customer service, communication, teamwork, sales, and operations. However, many retail sales workers continue to undersell their skillset in the job market. 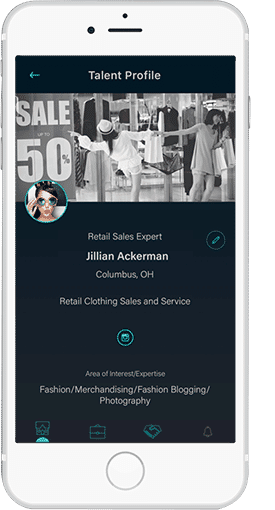 If you have had the opportunity to stand on the sales floor, be the face of a brand when speaking with customers, or managed inventory and operations behind the scenes, your skills are in high demand. Don’t sell yourself short. Verify that your pepelwerk profile captures your diverse skill set and add these to your list of skills. Above all, we want the ability to match you with more than just the retail jobs hiring near you. Employers are looking for the skills you bring to the table, so don't hide them! The next time you struggle to pinpoint what skills you’ve gained from your experience in retail sales, remember this list! Even though it may have been a very early work experience, you gathered a valuable set of skills. Looking at it from this perspective, it’s quite an impressive set of skills to offer your next employer.